Mihajlović graduated in composition and conducting in Belgrade, received MA in composition, and attended courses in Cologne and Salzburg. He worked (since 1975) at the Faculty of Music in Belgrade, where he passed all teaching positions, from assistant to full time professor. He retired (2010) as full time professor of composition in Belgrade and Novi Sad. He is one of the founders of the Ensemble for Contemporary Music, and since 1992 one of the founders of International Review of Composers (Festival of Contemporary Music), which he headed as director until 2002. 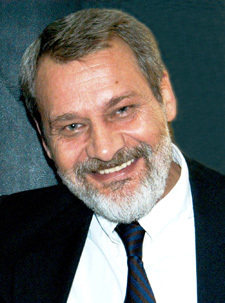 He was the president of Serbian Composers Association (1978 – 2002), the Head of Music theory Department at the Faculty of Music in Belgrade, and from 2002 to 2009 he was the Dean of the Faculty. Milan Mihajlovic’s music at Dijon (France) - composer in resdence – Opera de Dijon – festival 2016: 5 compositions: "Elegija", "Les Adieux", "Notturni", "Eine kleine Trauermusik", Melancholy".